In a first, India and China on Wednesday carried out a joint army exercise in eastern Ladakh in Jammu and Kashmir, a move that comes amid hectic diplomatic manoeuvring between the two countries over a host of issues like Nuclear Suppliers Group and designation of Masood Azhar as a terrorist by the UN. 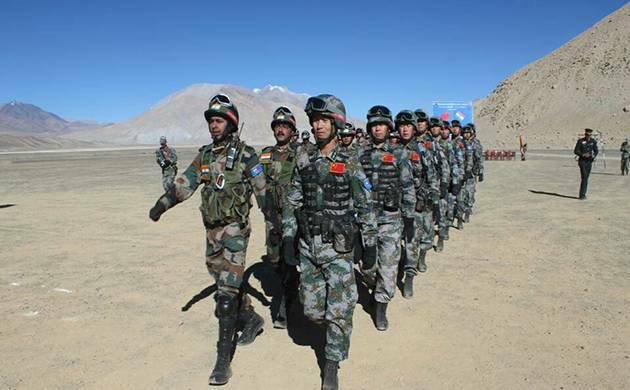 This was done as a sequel to the first Joint Exercise held on February 6 in the area of Border Personnel Meeting Hut at Chushul Garrison of Eastern Ladakh, along with Chinese troops of Moldo Garrison. Sources said that in February, the exercise was held in the Chinese side and this time in the Indian side along the line of Actual Control. The Indian team for the exercise was led by Brigadier R S Raman and that of the Chinese was led by Sr Col Fan Jun. The exercise was a great success and has not only refined the drills to provide succour to the border population in case of natural calamity but has also increased the level of trust and cooperation between the two border guarding forces along the LAC in Eastern Ladakh, the Army said in a statement here. The joint exercise, compliments the Hand in Hand series of the India-China joint exercises and the effort of both the nations to enhance cooperation and maintain peace and tranquillity along the border areas of India and China, it said. This year’s edition of ‘Hand in Hand’ will be held at Aundh, near Pune in Maharashtra, from November 15 to 27.